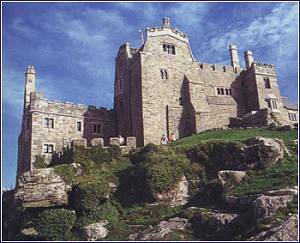 Marazion is the gateway to the enchanting National Trust managed, St. Michael's Mount. 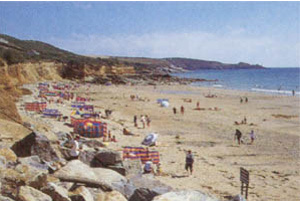 It is also an ideal location for family friendly holidays, with large sandy beaches and, being within easy travelling distance of all the major attractions in West Cornwall, it is the perfect base for your Cornish holiday. 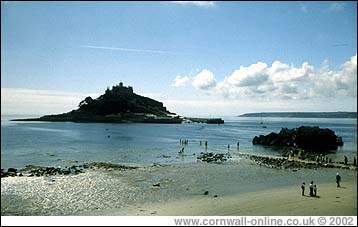 Dominating Mounts Bay is St Michael�s Mount, which rises majestically almost 230 feet from sea level to the tower, chapel and battlement of the castle. 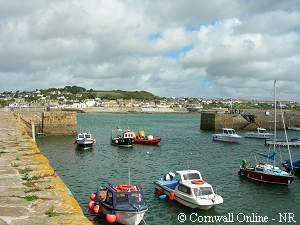 Situated approximately 500 yards offshore the Mount is reached via a causeway at low tide or by small ferry boats which ply between Marazion and the Mount's harbour. Marazion Beach is a safe family beach with a lifeguard patrol, and the added convenience of the ample parking along its length and the adjacent town with its amenities, all set against a stunning backdrop of St Michael's Mount and the Lizard Peninsula (Britain's most southerly point). 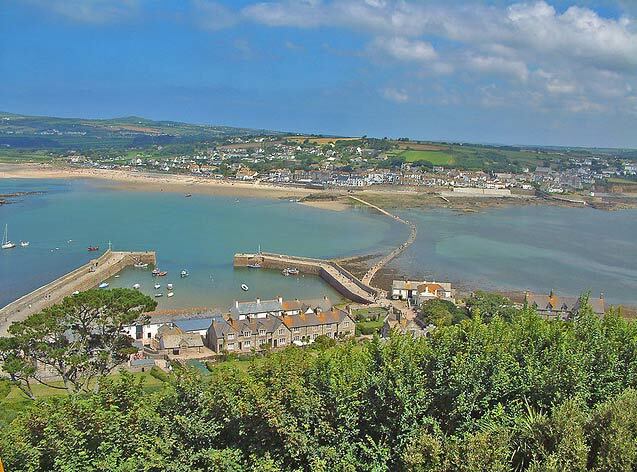 Mount's Bay is renowned as one of the most beautiful bays in the world, Marazion is also a popular destination for watersports, including windsurfing, kite-surfing and sailing. The beach is mainly sand with a few scattered pebbly patches. 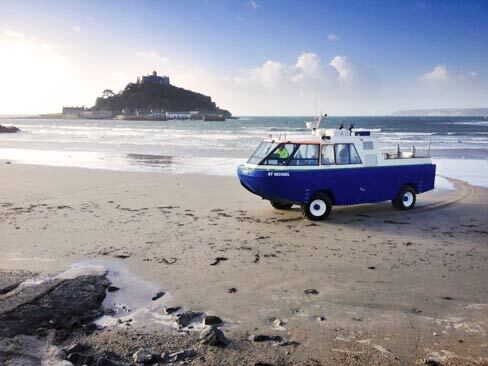 From the beach, it is possible to walk across the causeway to the St Michael's Mount, or take a ferry, depending upon the tide. The island is a fascinating place to visit. There are two small shops located around the eastern edge of the small working harbour - the Island Gift Shop and the National Trust Shop where you can pick up treasured mementoes or gifts. The Island cafe has stunning coastal views from its garden patio area. It serves a good selection of local foods. The cafe is located in the building that used to be the island's laundry. You can follow the path from harbour, up to the Castle and take a tour of the building and gardens. It is an opportunity to discover the fascinating legends, myth and incredible history of the island and its castle, that has at various times been a fortress, a priory and a family home. 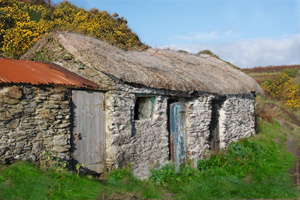 The island is currently managed by the National Trust, but remains the home of the St Aubyn family and the 'legendary' home of Cormoran - the Cornish Giant. Marazion is a popular destination for beach holidays and water sports, including windsurfing, kite-surfing and sailing. 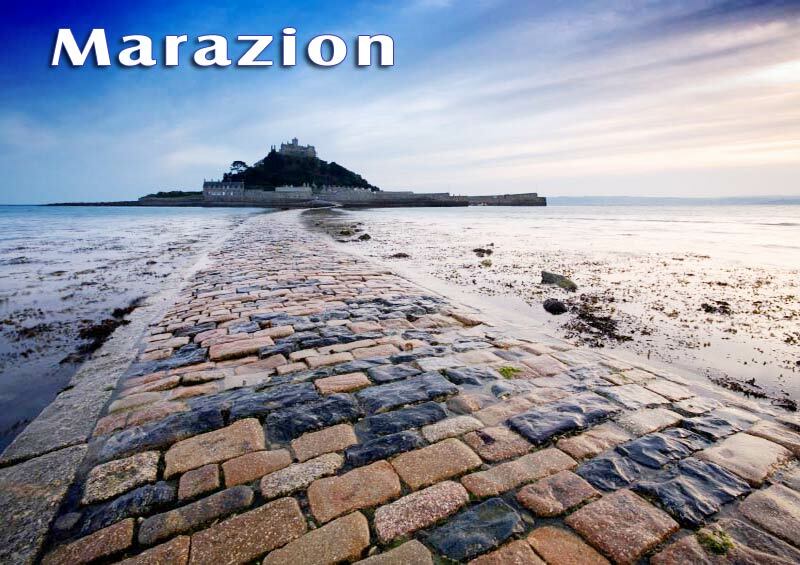 The name Marazion has erroneously been referred to as Market Jew but is believed to be derived from the old Cornish Marghaisewe, meaning Thursday market. Marazion, can "possibly"claim to be the oldest town in Britain, known as Ictis by the early Greek and Mediterranean civilisations (400 to 30 BC), the island was thought to be a major tin trading centre, during the Bronze age. The island had established trade links with the Greek and Minoan cultures that flourished in the Eastern Mediterranean, with texts describing how the locals would transport the ore across to the island in carts at low tide, where the merchants would buy it and transfer it to their waiting boats. NB in our original version of this text from 1995, ( created with assistance from Penwith Tourism Officers), we referenced this with the wording "Marazion, can claim to be the oldest town in Britain, called Ictis by the Romans", which in the ensuing years has widely been copied across many websites. The island was known to Romans such as Pliny the Elder, but its history stretches much further back into antiquity. 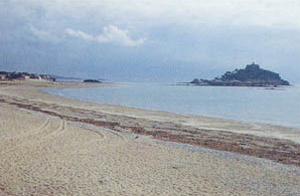 Marazion Marsh is located just to the west of Marazion - two miles east of Penzance. 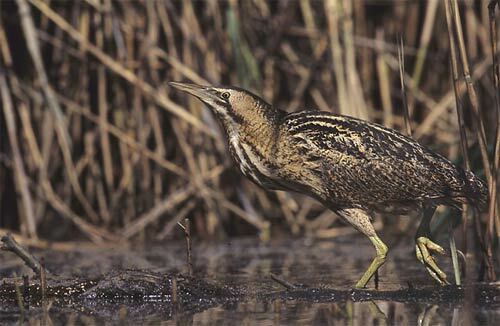 The Marsh is a rich freshwater habitat that incorporates Cornwall's largest reedbed. 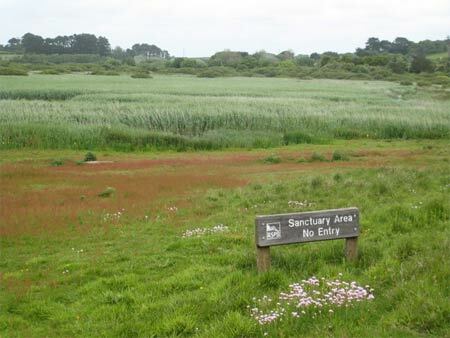 It is also the RSPB's most southerly reserve in the UK, well known for its Aquatic Warblers (more than 170 have been spotted on the site), more than 250 bird, 500 plant, 500 insect and 18 mammal species have been recorded here and bitterns are now regular winter visitors. Marazion Marsh has a resident populations of Herons (which nest in trees at the site), Cetti's Warblers (breed on the site), Chiffchaffs and Little Egrets. In the winter months, the site becomes a haven for migrant species, with swirling flocks of several million Starling roosting in the marshes, which attract predators, such as Sparrowhawk and Peregrines. In the autumn the site is visited by common waders such as Sanderling, as well as Sea Ducks and Grebes. The marsh is open at all times and has an extensive network of wooden walkways and viewing hides. There is a convenient car park right by the entrance, or you can park on the south side of the road, next to the beach. N50º 06' 48.32" W5º 26' 33.30"
Two miles to the east of Marazion, Perranuthnoe is a small Cornish village with a popular, sheltered sandy beach - that is ideal for families. The village also boasts the oldest inn in Cornwall- the Victoria inn, which dates back to the 12th century. 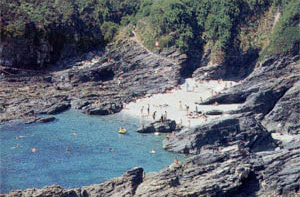 The beach, Perran Sands ( NB there is also a Perran Sands in the Newquay area) is approximately half a mile in length at low tide and flanked by cliffs. The is a fairly safe beach for swimming during the main holiday season, but note that there are no lifeguards at this location . At low tide Perranuthnoe is a predominantly sandy beach with some shingle. At high tide the sea covers the whole beach. The beach is a popular one with surfers - well know for its surf, throughout the year. Access to the beach is via steps from the adjacent car park, or from the slipway. Facilities at the beach include a café and toilets. Dogs are not permitted on the beach from Easter to October. 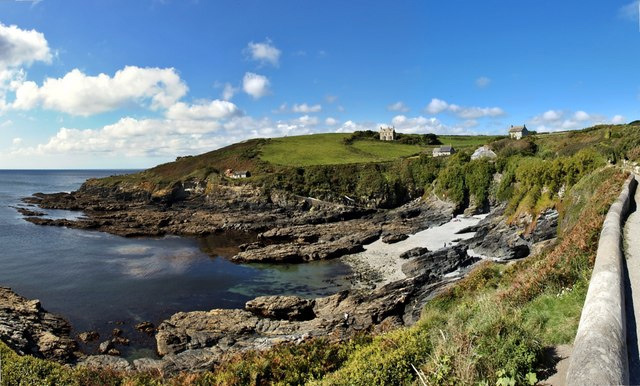 N50º 06' 02.74" W5º 24' 58.48"
Prussia Cove is a collection of small and secluded rocky coves. There is no beach at high tide so you need to take care. There are no facilities at the beach. There is a car park, but it is a long walk down to the beach.